Even though I didn't just love dolls as a little girl, I wasn't exactly into comic books and super heroes either. I was more of a Sunday paper comics type of girl with an affection for that kid and his stuffed tiger. However, I married a nerd who knows a lot about the comic book world and God has given me two boys to raise, so I'm getting new skills in my wheelhouse whether I like it or not! 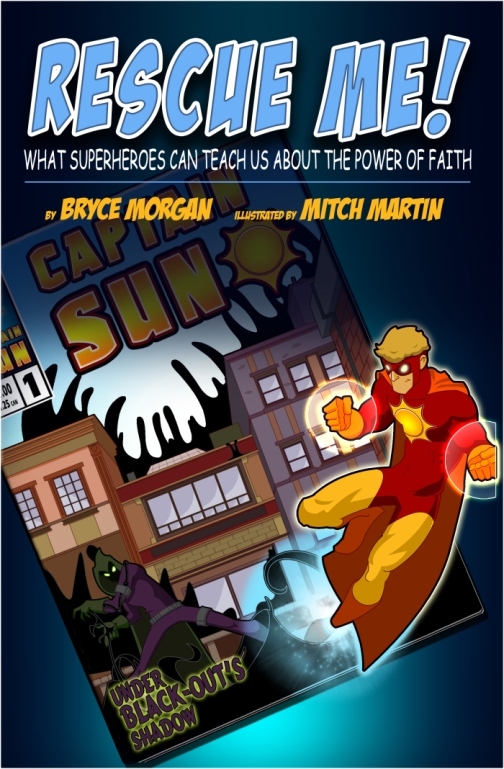 Today we're talking about a new comic book series called The Captain Sun Adventures. 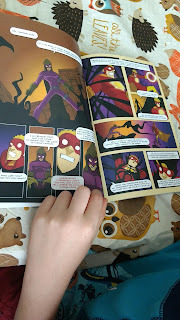 Our culture has been enthralled with super heroes for years and as parents we have to fight to get the message out on what real superheroes look like in our lives. This comic book series is a great step in shifting the dialogue. We received Book 1, Rescue Me! 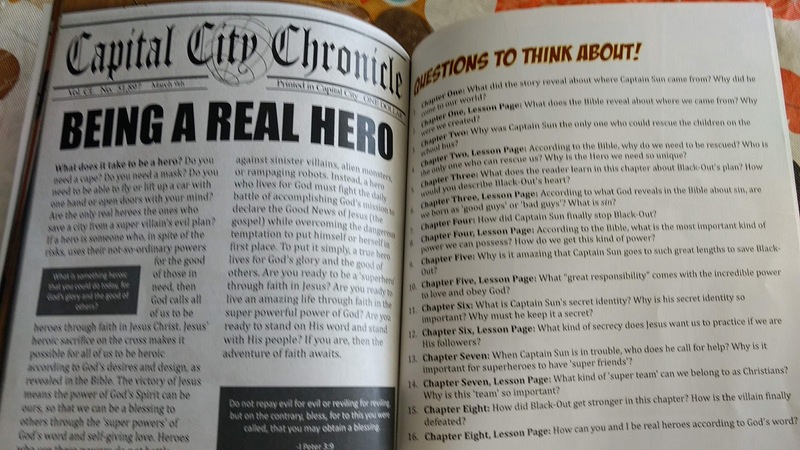 What Superheroes Can Teach Us About the Power of Faith which is half graphic novel, half devotional. There is a total of 3 books in the series. 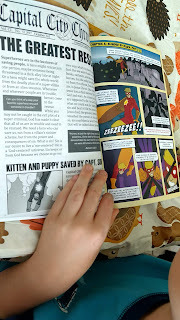 When my son read it through the first time, he *apparently* only read the comic part because when I pulled it out to begin this review he flipped through it and discovered that the newspaper pages were actually devotions, not just fake news stories. Once he realized that, suddenly he was extremely impressed with the book! 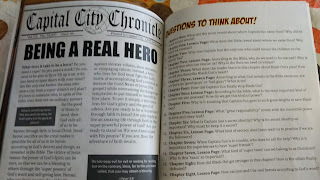 Every other opening, there is a devotional that takes some aspect of superheroes and shifts it to a Biblical worldview. For example, a talk about bad guys turns into a discussion about sin or a team of heroes mirrors the importance of the church and our work together. At the back, there are 16 questions coordinating with specific chapters and pages that could be used for family discussion, writing prompts or just personal review. The book is thin, but the pictures are very colorful and the pages are good quality. The illustrations are fun and very comic-book appropriate. The author generously signed our copy too! There are times in our (parent/child) relationships when we aren't being paid attention to. As kids and adults alike, it's common to get caught up in things that maybe aren't real or at least not very important. This is a really neat tool to bridge the gap. It is important to send as many positive messages into the hearts of our kids, simply because there are so so many negative ones to counteract. 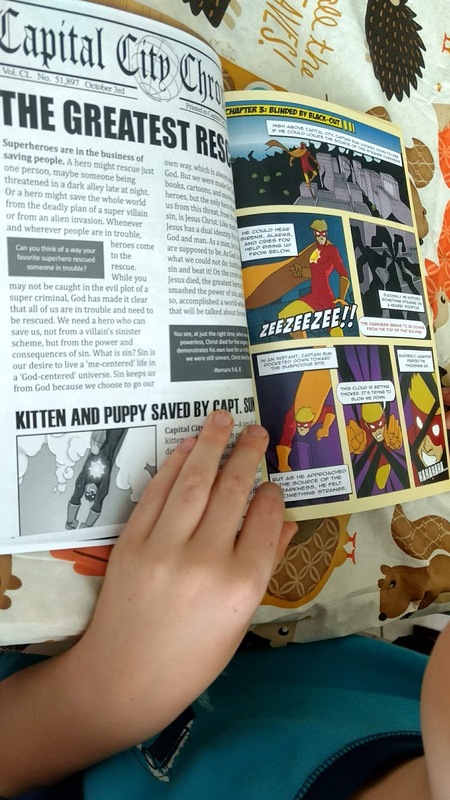 If you have a child that really gets into action figures or super heroes, but finds it hard to take our reality as Christians to heart, this would be a great thing to try! 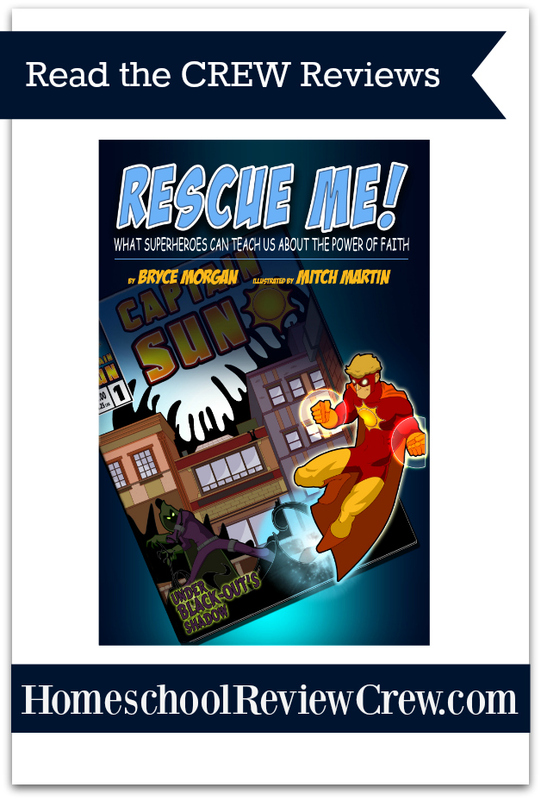 Be sure to check out their website for VBS resources too!